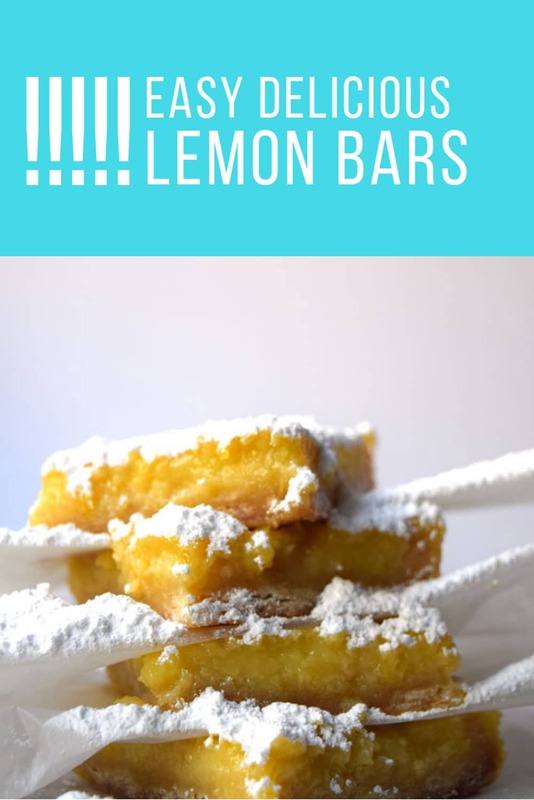 Let me introduce you to the best dessert I’ve ever made: lemon bars, a zesty sweet lemon juice and sugar filled bar showered with powdered sugar! Lemon bars are so easy to make and you can do everything, crust and filling in one bowl. They are a must if you’re having high tea or a birthday party. I’m so glad you stopped by. Can you smell the dark roast coffee I just brewed? Sit down and I’ll pour you a cup. Strong, hot coffee goes perfectly with a lemon bar recipe, a sweet, tart, zesty and easy dessert, I’m going to share with you. This post contains affiliate links. 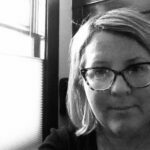 I am an affiliate for Target Corp. That means if you click through and make a purchase, I’ll make a small commission but you won’t pay anymore. If you are uncomfortable with this, feel free to go directly to Target.com and search for the item of your choice. Lemon bars are one of my most favorite desserts. Of course, I’m in love with any and all citrus. I also reviewed this cookbook, devoted to citrus recipes that you might like if you really love citrus like I do. This lemon bar recipe, which uses just-squeezed lemon juice and grated zest always makes me feel like I’m somewhere fancy having high tea. 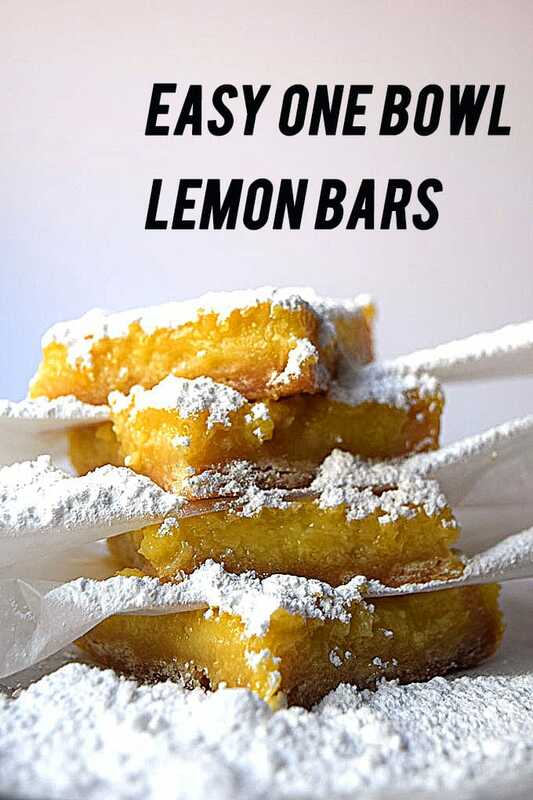 I’ve been making these lemon bars for years. I found the recipe in a 1999 Cooking Light magazine. 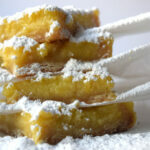 But don‘t worry about the recipe coming from a healthy cooking magazine, these lemon bars taste decadent. Even better, they come together quickly in one bowl. 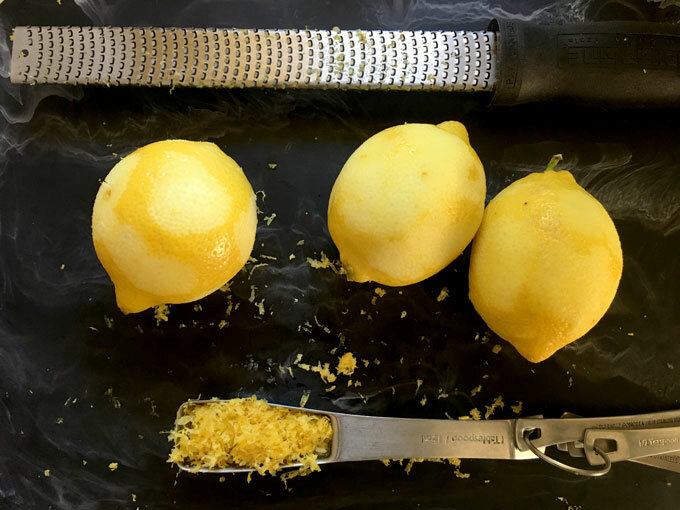 Microplane zester/grater for grating lemon peel. I have this one and highly recommend it. I’ve used it for several years and it’s still sharp. Plus you can use it for grating Parmesan and other hard cheeses as well as blocks of chocolate. Grated chocolate is a wonderful addition to coffee yogurt. Square cake pan, 8 x 8. I have one similar to this pan by Caphalon. This is also a good size for making homemade granola bars. Make the crust first. While the crust is baking in the oven for 15 minutes, mix the filling. Don’t worry if the filling seems really runny once you pour it in the crust. The bars will thicken in the oven. This recipe makes one 8 x 8 pan. So, if you’re planning desserts for a party, you’ll need to bake additional items. You’ll need two to three medium sized lemons to yield a third of a cup of juice and two teaspoons of zest. Beat sugar and butter in mixing bowl with beaters until creamy, about two minutes. Add flour. Beat on low speed until you have a fine crumb. Line an 8x8 inch square tin with parchment paper or spray heavily with non=stick coating Or rub thoroughly with a bit of butter. Dump crumbs into tin and press with your hands or with the bottom of a measuring cup to form a crust. Bake at 350 for 10 to 15 minutes or until just crisp with the slightest bit of browning on the edges. Cool on wire rack. Beat eggs on medium speed until foamy-about three minutes. Add remaining ingredients sugar through salt and beat until combined. Bake for 20 to 25 minutes at 350. Pay attention to smell. When you smell lemon bars, the bars are likely done. There should be just a slight jiggle when you remove the pan from the oven but the mixture shouldn't be loose. If it's loose, bake for another five minutes or so. Serve with a sprinkling of powdered or icing sugar.